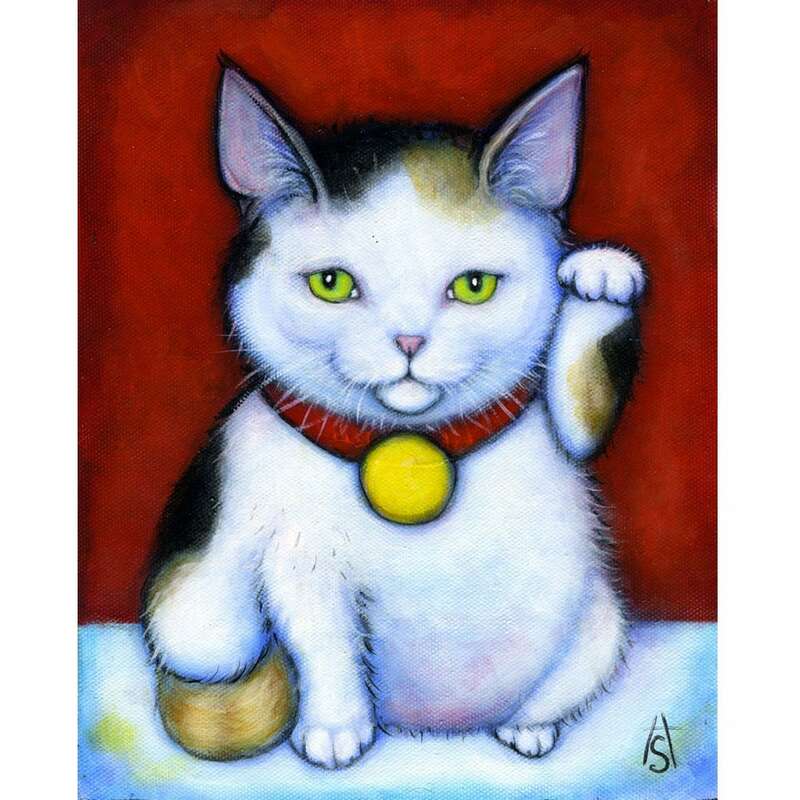 An 8x10 print of this image is now part of the Maneki Neko Collection at the Feline Historical Museum! http://www.felinehistoricalfoundation.org/special-collections.html The Japanese Beckoning Cat; a symbol of good luck which I have found immensely charming as long as I can remember. 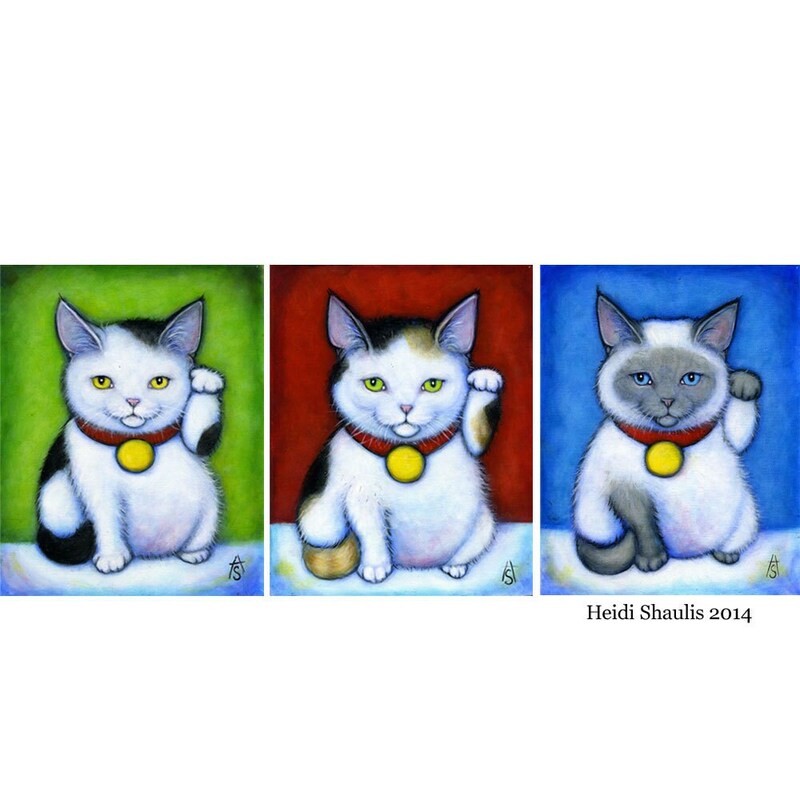 I just completed a series of three; a black and white cat, a tricolor (calico), and a siamese....for 3 times the good fortune! This listing is for the Calico.